I am the oldest of two and grew up in the Sterling Heights area. I attended Albion College where I received my BS in Biology and attended the University of Michigan, where I received my Doctor of Dental Surgery in 1997. Prior to establishing my Shelby Township practice, I was an associate in various dental offices, at the University of Michigan and had an established private practice in Sterling Heights. I relocated my office in order to accommodate the growing patient base that we have. I am now centrally located for my patients and am excited at the opportunity to service the people of Shelby Township and in the surrounding areas. 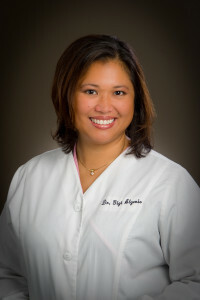 I am an active member of the American Dental Association, Michigan Dental Association and the Macomb Dental Society. Locally, I am a member of the Shelby Twp & Sterling Heights Chambers, B.R.A.G, Local Business Network and St. Ephrem Church, where I love to sing in the choir and participate in various church activities. When I am not practicing my passion of dentistry, I enjoy spending time traveling, eating new and exotic foods, scuba diving, exercising and spending time with my family, but mostly my 3 nieces. I am very family oriented and feel that my patients are an extension of my own family. I look forward to knowing your family and taking care of your dental needs. – MDS Executive Board Counsel currently the Treasurer and previously Chairman for the Young Dentist Component of the Society. – Continuing Education: Completes a minimum of 36 credit hours every 3 years.